American Gallery celebrates American artists of all genres with a whole episode dedicated to each artist and their music. The narrators of each episode are equally as famous as the artists themselves. The episodes explore the life history of such celebrated artists as Louie Armstrong and his beginnings with Jazz narrated by Bing Crosby. Bob Hope explores the life and philosophy of Will Rogers in The Man Everybody Liked. Visual artists are also covered with reenactments. 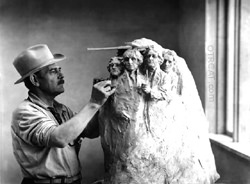 A Story of Two Giants covers the history of John Gutzon Borglum the sculpture artist of Mount Rushmore. Writers are also covered; Novelist Irving Stone narrates the story of Thomas Wolfe. 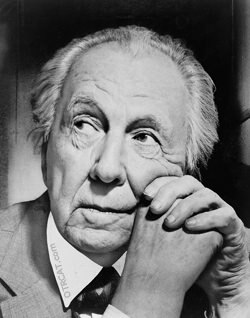 Frank Lloyd Wright, one of America's most famous architects, life is covered through the eyes of an apprentice. American Gallery is an educational old time radio program and offers a glimpse at the real people behind the art. See also American Portraits, Destination Freedom, and Cavalcade of America. Be the first to comment on "American Gallery"